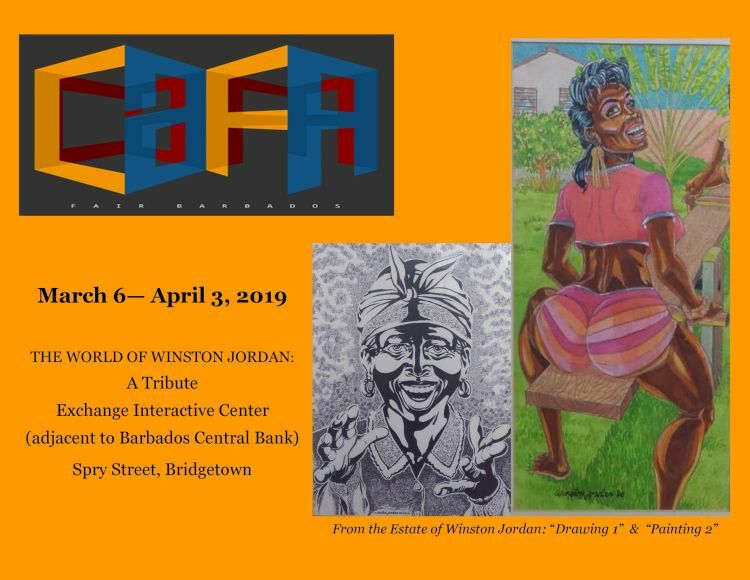 The Caribbean Fine Art Fair (CaFA) and Terra Caribbean are proud to present the CaFA 2019 Art Exhibition entitled The World of Winston Jordan: A Tribute. This exhibition is a presentation of Winston Jordan’s life and career. It reveals the treasure trove of creativity that has been left in the care of his son Winslow "Ruby Tech" Jordan. Most people are familiar with Jordan’s art through his popular cartoons and Crop Over costume designs, but the exhibition reveals even more about this visual artist, whom some refer to as a creative genius. The exhibition will be hosted at the Exchange Interactive Centre, adjacent to the Central Bank of Barbados. Opening hours: 10:00 a.m. to 6:00 p.m., Tue to Sun. Exhibition ends on Apr 3rd.